The Eleven Plus exam places your child in competition with other children. Like all competitions, competitors need to be well-prepared to successfully pass without trouble. It’s important to remember that if your child takes the Eleven Plus exam, it may be as stressful for your child as it will be for yourself – potentially even more so. It’s best for parents to be a source of calm and not place any unnecessary pressure upon their child. There are tutors who specialize in Eleven Plus exams, however, they are usually booked far in advance. Sessions often need to be planned months ahead to take advantage of private tutoring. In addition, parents need to be prepared for the financial aspect of private tutoring, as Eleven Plus tutors charge a significantly higher amount than general tuition. Adding to the challenge of preparing for the Eleven Plus is that there is no state-specified curriculum for the exams, with some grammar schools even preparing their own exams for admission. So, how can parents help their children self-prepare for Eleven Plus exams? The best way to be prepared for the Eleven Plus exam is to plan ahead and gradually prepare your child over time. This means keeping track of your child’s studying habits and learning progress over time, ensuring that they’re keeping up with their school curriculum. If they’re ready, you can introduce even introduce them to advanced subjects. This method allows you to gradually prepare your child for the exam without intensifying the process or adding extra pressure. Keep in touch with your child’s teachers, who will help you understand how your child is performing in relation to their peers. You can start giving your child preparation tests from time to time, which will help boost your child’s confidence when they’re completing the real Eleven Plus exam. In addition, you can give them some mental games and brain teasers to improve their overall cognitive abilities. The schools that children are elected to enter through Eleven Plus exams are called grammar schools for a reason – verbal and linguistic skills are a major part of the Eleven Plus exams. As a result, it would be wise to try to make your child acquire a serious habit of reading. 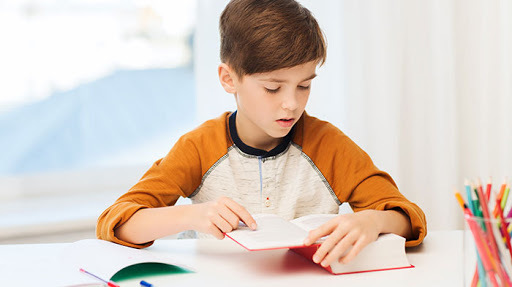 Encouraging your child to read can be difficult in this day and age, particularly when they’re surrounded by distractions like TV, smartphones, video games and social media. Parents should set positive examples for their child and provide technology-free areas in the house. You can’t expect your child to get lost in a book while you’re watching TV or scrolling on Facebook for hours. You can set up a technology-free zone every day or every week. Use this time to lead by example and read by yourself or together with your child. Children naturally mimic their parents’ behaviour, so your child will be more willing to read if they see you doing it. Another great way of encouraging their reading habit is to visit libraries and bookshops with your child and select books they will enjoy. Studying with your child is a great way to find out about their abilities and strengths. From child to child, you’ll find their intellectual, mental and cognitive abilities will vary. Some children may easily comprehend abstract scientific concepts, while some children are more suited to the social sciences. To prepare effectively for the Eleven Plus exams, it’s best to be aware of your child’s strengths and focus more of their energy towards their weaknesses. You might be considering private tuition for the Eleven Plus exams, but this doesn’t mean that you can’t get help. Friends, family and your child’s teachers are there to help. Even your child’s friends, particularly if they’re also preparing for the Eleven Plus exam. You can meet with their parents to plan study sessions together or fun play dates involving brain-teaser games. One last piece of advice from us: Every child still needs to play. Preparing for the Eleven Plus exam shouldn’t mean that your child needs to study like a professional academic or digest data like a computer. Playtime is incredibly important for the intellectual development of children, with games even improving their mental capacity. Even video games or mobile games can be an effective tool, depending on the type of game. Playtime is incredibly important for the intellectual development of children, with games even improving their mental capacity. Even video games or mobile games can be an effective tool, depending on the type of game. You should encourage your child to play brain-training games (check out of MentalUP library of games if you need any inspiration). Above all, keep in mind that every child has their own unique skills and strengths. Forcing your child to study will not be productive nor beneficial in the long-run. While tests and exams are tools for learning and growth, it should not be viewed as the ultimate indicator of your child’s full intellectual capacity or potential for future success.